Little Learners Stockport are hosting a very special Peter Rabbit session! Along with the option of making your Peter Rabbit, there will be lots of usual Little Learners fun with a spring theme. You can play with play dough, mark make in different ways and other rabbit and spring themed crafts, including making an Easter card. There will be messy trays, paint, pens, chalk and colouring. We will finish the session with a story. 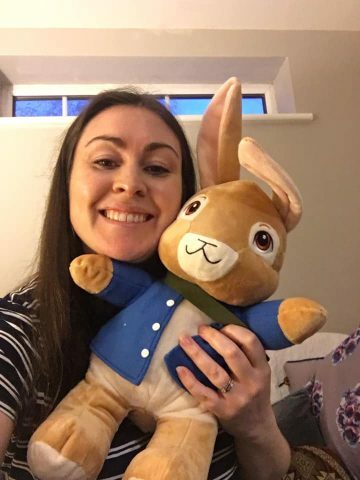 During this session there is the option of making a Peter rabbit soft toy. These are official Peter Rabbit toys which are of the highest quality and 16” tall. You will work together to hand stuff your toy, adding a heart inside. You can take him home in a special bag. Mark making activities include making a name tag for your bag and we will make Peter a birth certificate too. Places for this session will be very limited. This session must be payed for in advance. It is on Saturday 6th April at 10 am for an hour at Lindow Lawn Tennis Club, Cumber Lane, Wilmslow, SK9 6EF.